Instead of Netflix and chill, she wants Netflix and grill, but pizza will do just fine. YEAH I'M INTO FITNESS... 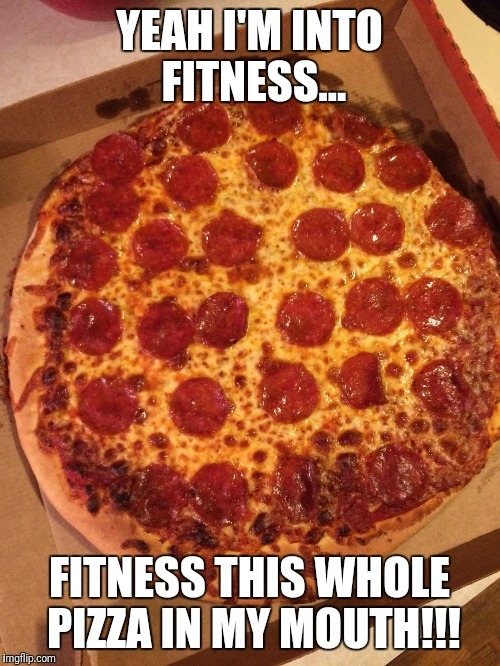 FITNESS THIS WHOLE PIZZA IN MY MOUTH!! !